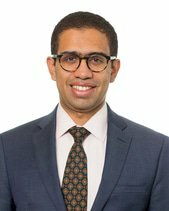 Yando Peralta focuses his practice on general litigation matters. Mr. Peralta joined Dechert as a summer associate in 2016. While at law school, Mr. Peralta was an intern to the Honourable Ronald L Ellis, Magistrate Judge, United States District Court for the Southern District of New York. In addition, he served as the Mulligan Competition Editor for the Fordham Moot Court Board. Prior to joining Dechert, Mr Peralta worked at a legal non-profit as a non-attorney advocate. He represented individuals seeking public benefits in state administrative hearings.